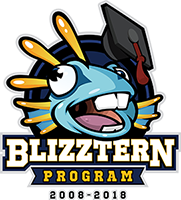 Ten summers ago, we opened our gates and welcomed the very first group of intrepid Blizzard interns onto our campus. Now, a decade on and hundreds of blizzterns later, we're taking time to honor the anniversary and reflect on how far we've come together. We recently gathered our entire 2018 summer class (93 strong! 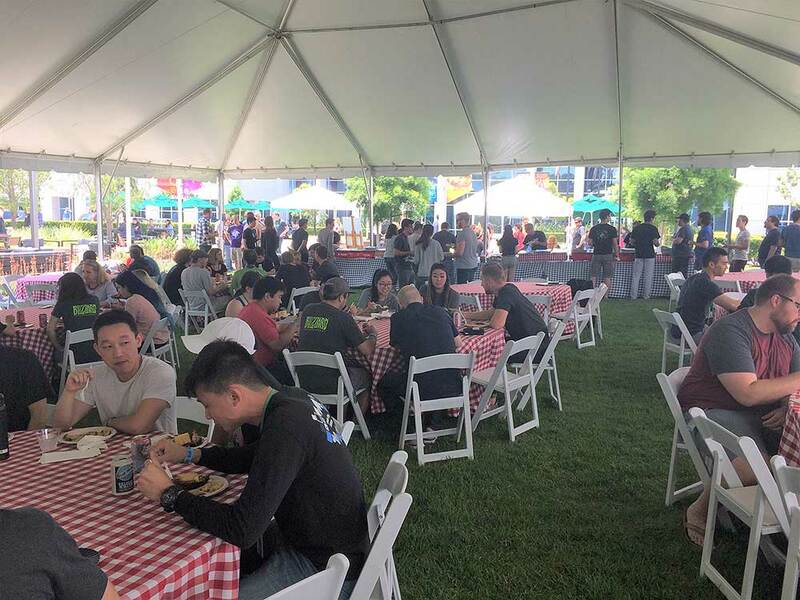 ), their mentors, and Blizzard in-ternship alumni who are now fulltime employees to celebrate Camp Blizzard's 10th birthday with food, drinks, music, and good company. Camp Blizzard! 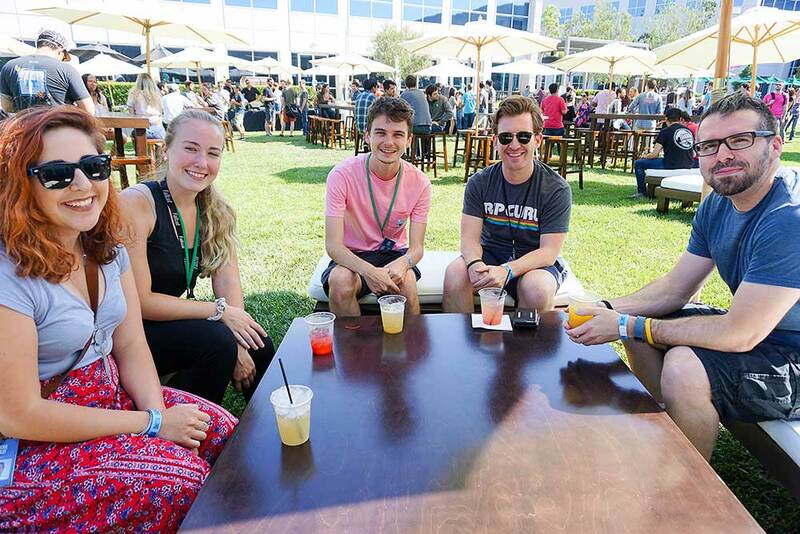 For 12 weeks every summer, we bring interns to Blizzard to work on exciting new projects and develop professional skills while taking time to kick back and enjoy their summer. We offer paid internships, summer housing close to campus, and most importantly, we provide amazing work opportunities. 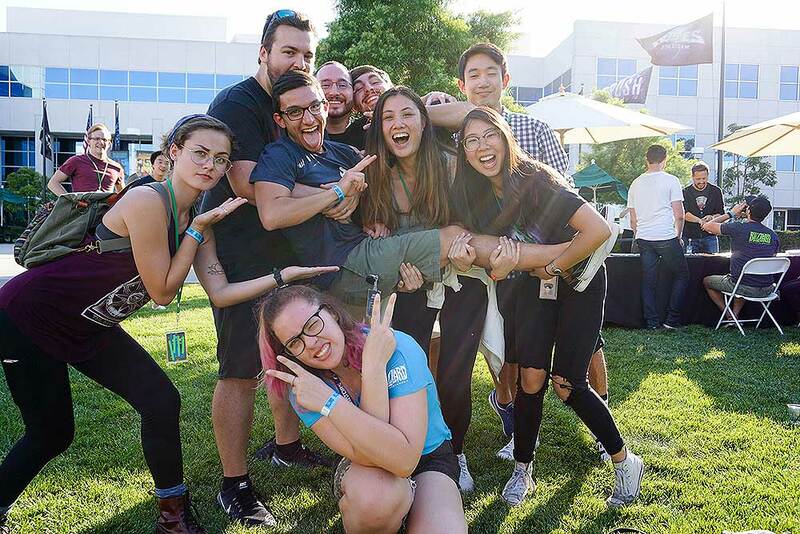 Interns are embedded with our development and business operations teams, where they’re given real work and the chance to make an immediate impact. It's not unusual for content produced by interns to end up in-game or on our sites. 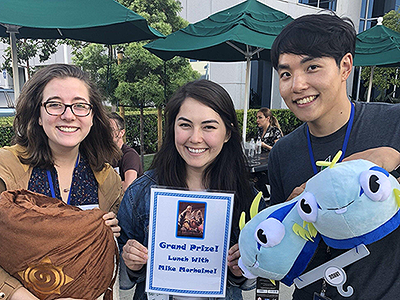 Interns at Blizzard are here to learn to be part of a team, contribute right away, and develop skills that will serve their career for years to come. Camp Blizzard started as the brainchild of a colleague (hi Dave Wilson!) and myself several years ago. 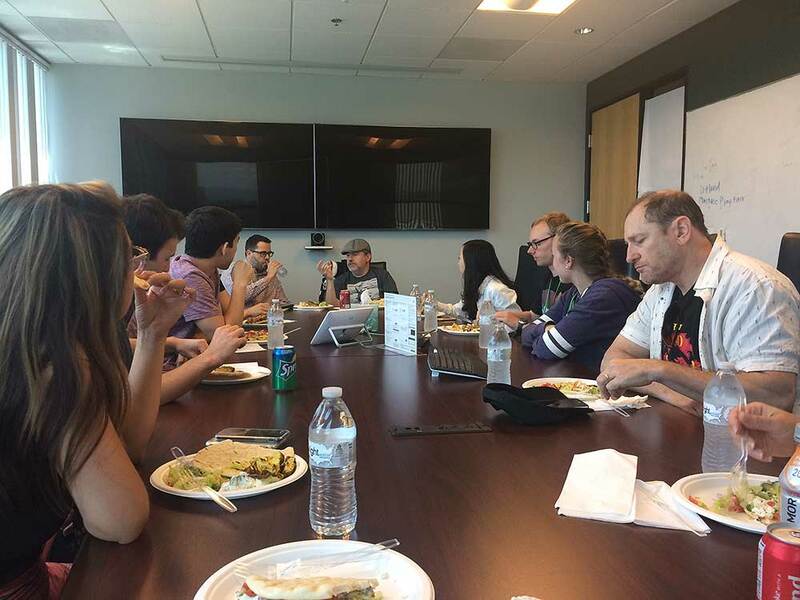 We talked a lot about what a Blizzard-quality internship program might look like. We knew it needed to be a more dynamic experience, a balance between having fun and experiencing serious professional development. In short, a program that wasn’t just another internship for students to put on their resume, but an experience arming them with a comprehensive understanding of the gaming industry they’d be able to carry with them into their careers. 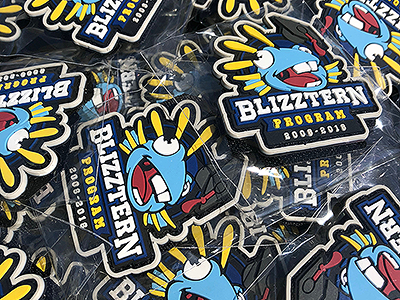 From the start, our goal has been to give interns opportunities to connect with all levels of the business, so we put a focus on networking and workshops when planning summers at Camp Blizzard. 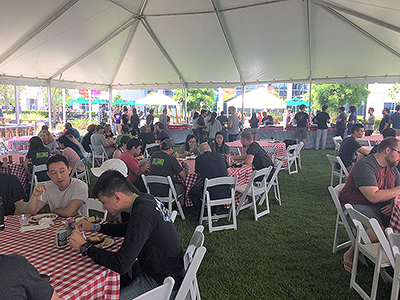 For instance, /lunch is a series of exclusive lunch and learns with principal designers, executives, and senior leaders from across the organization. Small groups of interns and new grads gather in small rooms—not a lecture hall with hundreds of people—which helps to break down the barrier both ways. 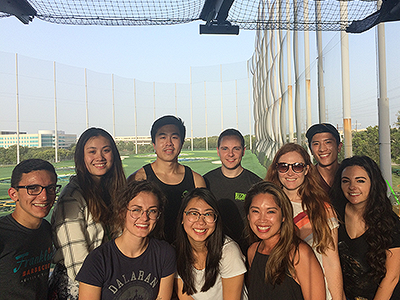 Interns get to have real conversations and learn how our business operates, and our senior leaders are able to give back and relate their experiences in a direct and meaningful way. 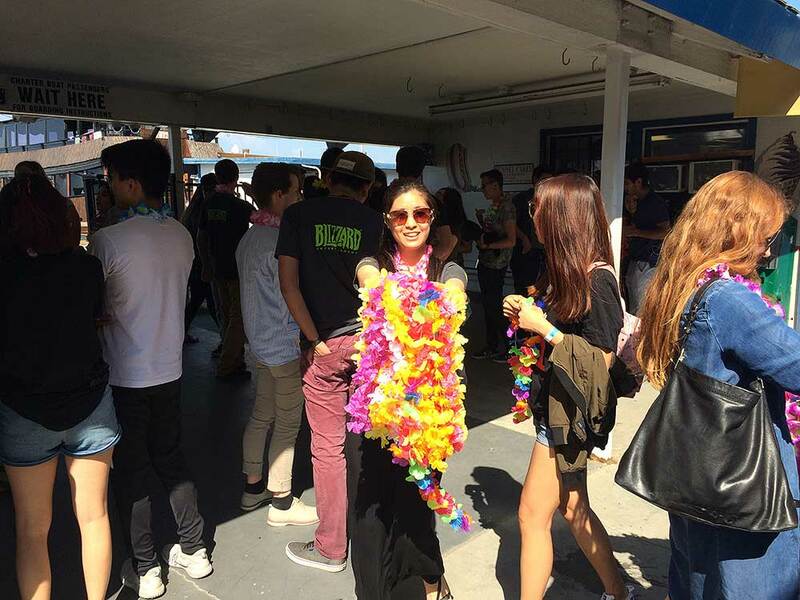 Of course, our other priority is to make sure our blizzterns also have a great summer experience. That’s really where the ‘camp’ part of Camp Blizzard comes in. It’s like a summer camp in that our interns can improve their craft and enjoy their stay with a calendar loaded with things like exclusive game tournaments and events like escape rooms, barbecues, and my personal favorite: the Tiki boat cruise. 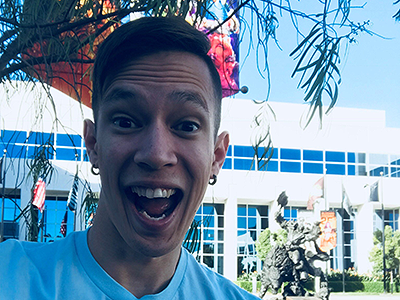 As part of our look back, we sat down with ten former-blizztern-turned-fulltime-Blizzard employees, each one representing their respective summer intern class. Settle in, grab your coffee (an intern didn’t get that for you, did they?) and dive into a decade’s worth of Camp Blizzard memories! 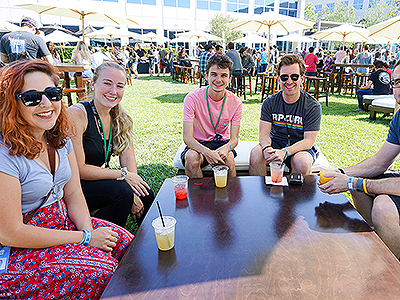 You were one of the original eight interns at Blizzard in 2008—what do you remember about that first summer? It wasn’t called Camp Blizzard back then; we were simply interns working at the company during the summer. That’s not to say that we all we did was just work—we did some activities together as interns, but nothing like the events that are held nowadays. As for the company, it's grown a lot over the past decade in terms of people, but in terms of culture, Blizzard is just as geeky and driven as it was back in the day. Did anything change for you when you came back as a fulltime employee? Not really, which was great. As an intern, I was developing real content in an actual work environment and learning how to be a professional engineer. I was always treated as an equal and valued member of the team, even as an intern. When I came back to Blizzard fulltime, I picked up right where I left off. Been here ever since! Best advice for any prospective student considering Blizzard? Personal projects. The number one thing that helped me stand out was that I was able to show the team all the games I had created. To me, personal projects are more important than perfect grades. The latter shows you’re good at schoolwork, but gives no insight into your passion. Yes, grades are critical to any degree, and it’s a huge benefit to be well-rounded, but when trying to stand out in a crowd full of well-rounded students, it's what else you bring to the table that can tip the scales your way. 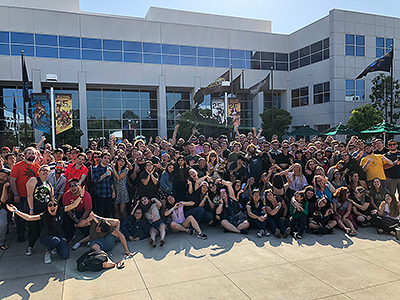 People at Blizzard come from all walks of life, and we’re united by our passion for the work we do and love for creating the most epic entertainment experiences we can as a company. Show us that you belong; demonstrate that you have the skillset to succeed, and the drive to back it up. For me, the best way to do that was though personal projects. No. Only if you consider milk a broth, which I certainly don’t. 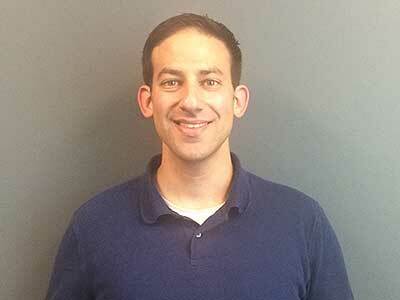 You interned for two summers, and now you’re here as a fulltime employee. What made you want to keep coming back? Honestly, you can’t get much better than Blizzard. Everyone is so friendly and willing to help. I was able to ask the people around me for assistance at any time; I could learn about what they did, and at the same time figure out what I wanted to do. 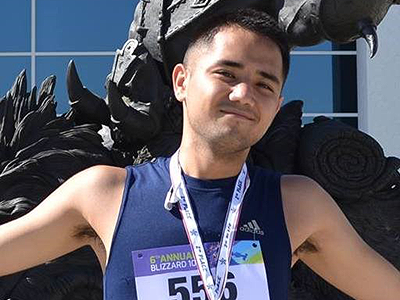 Back when I was working on my degree, I was told by fellow students, “If you want to get into Blizzard you’ll have to go through a bunch of smaller companies first and then work yourself up.” And it was funny, because I remember thinking, “Oh, I’ll show you.” It really put that drive in me and made me think, “No, I know where I’m supposed to be. 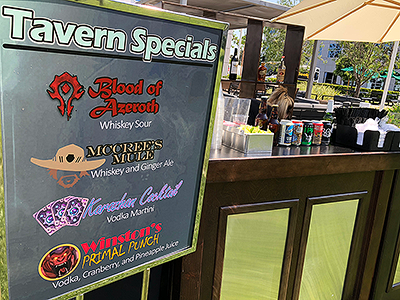 I’m supposed to be at Blizzard.” There was really no other option in my mind, so I went after it. In what ways did Blizzard differ from what you initially believed? I had a romanticized idea that everyone at Blizzard knew exactly what they were doing because they make the best games in the world—in my opinion. The reality, of course, is that we’re all figuring it out as we go along. We trust our collective instincts and depend on great mentorship and knowledge sharing. We're human, so mistakes are going to happen. Using what you learn from mistakes and working as a team to improve, that’s the actual Blizzard magic. We have a real willingness to try things and fail at them in the pursuit of fun and quality, and I think that makes us great. Refolding and reshaping elements of different projects into something that’ll ultimately be better. Our willingness to take time to consider what we’re doing and how to learn from the mistakes we’ve made along the way is where we really shine. What’s your favorite core value? What would the autobiographical movie of your life be called, and who would play you? Blowing Things Up and Making Them Sparkly. Rachel McAdams—she's pretty cool, and I think she can handle it. Yes, I firmly believe that. Also, Pop-Tarts are ravioli and hot dogs are half-sandwiches. What’s your Blizzard origin’ story? I wanted to move into a design career, and I thought the easiest way to make a big shift was to go to a company that made products I’d been playing for a long time. I’ve been playing Blizzard games forever. 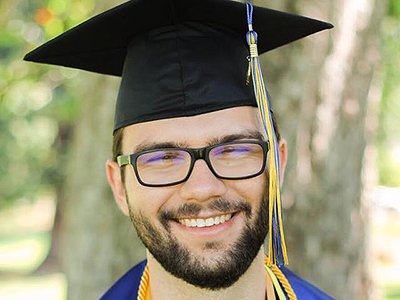 The internship was a great opportunity because I didn’t study design, so I could come over here and work with something I did know—which was games—and put my existing design skills to use. When Blizzard called, I just dropped everything and moved. It's funny, because I never thought I'd work in the games industry . . . I just really loved playing games and liked designing. But now, at Blizzard, I get to do both! 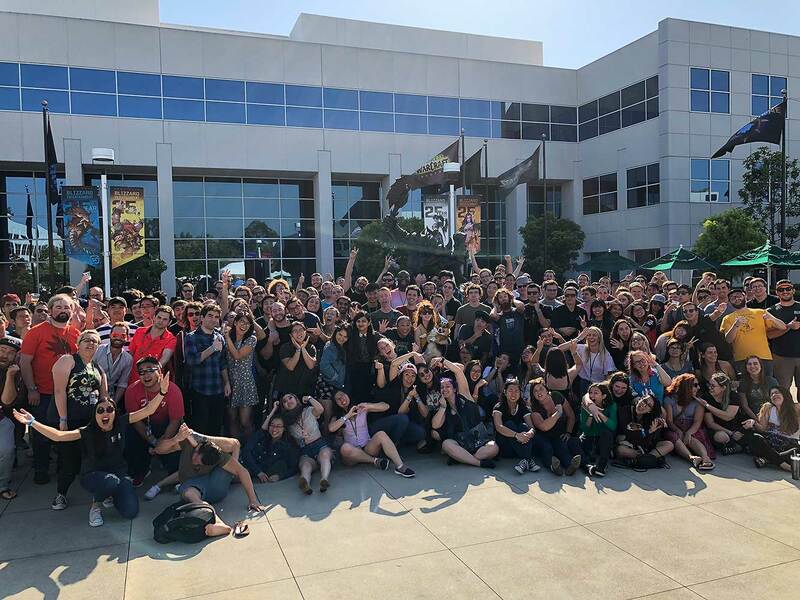 As an intern, I met a lot of people that are still here because Blizzard’s a very stable company, which says a lot, considering it’s in a constantly changing industry. 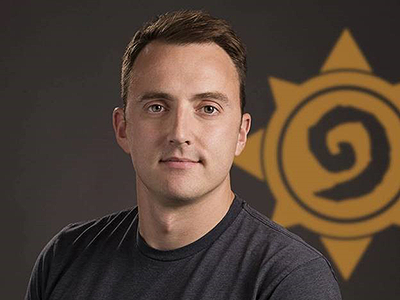 What’s an important trait to have if you want to succeed at Blizzard? It's challenging to get a job here, but it's worth it. In any job, it’s important to be open to feedback and listen to the expertise of your coworkers. Because of how many things we do, and the high bar for quality we set for ourselves, it can be natural for people going into a meeting or project thinking they're the smartest ones or that they’re the most senior or highest achieving. But at Blizzard, everyone is very good at what they do. When you’re in a meeting with 10 people, all 10 of them are all-stars. It’s important to understand that everyone brings something amazing to the table, and that tapping into everyone’s skills helps us make what we make. What would the autobiographical movie of your life be called and who would play you? Failing Forward. Probably Michael Cera. I feel like that's his whole shtick. That's like asking if a hot dog is a sandwich. With questions like these, I'm always neutral. 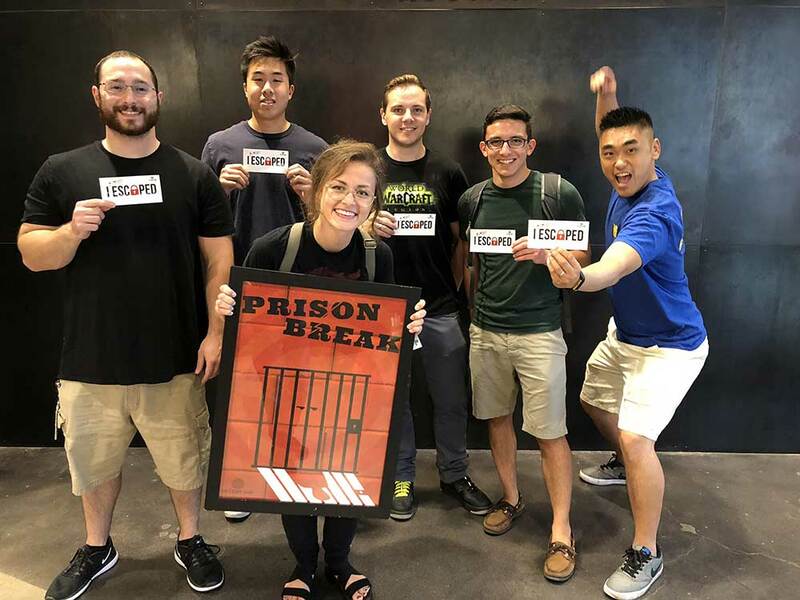 What did you do during your time as an intern? I focused on two primary things in my internship, both World of Warcraft related. One, I focused on the player leveling experience. I did analysis on where in the leveling process players were starting to get tired. That data helped game designers evaluate potential improvements to the levelling experience. The second part was clarifying and gaining alignment on some of our business analytics. We’re a central analytics organization, so it’s very important for everyone at the company to know exactly what we mean when we say that we have a new player or a lapsed account. Generally stating what it meant wasn’t enough, so I spent some time building those definitions numerically. 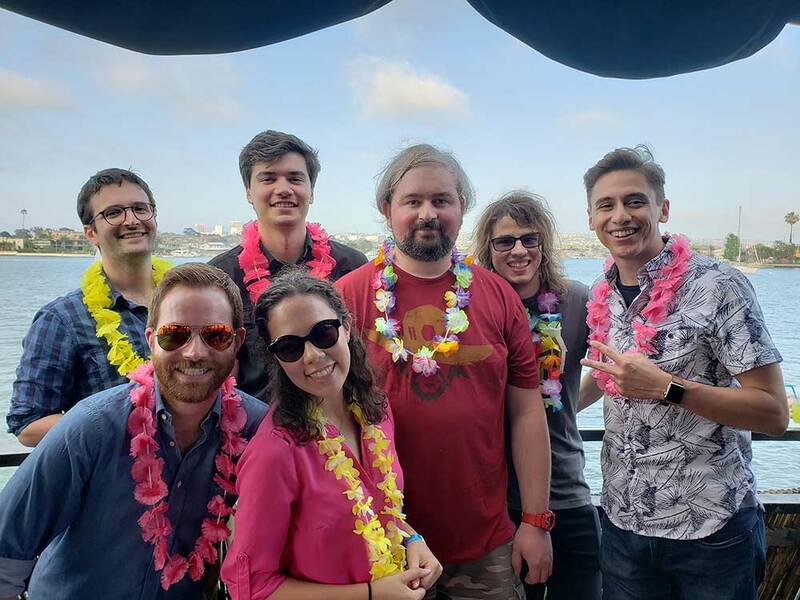 What’s the team culture on the Global Insights team? Extremely supportive and collaborative. We’re very unselfish, which helps because we’re trying to deal objectively with information. We don’t want our egos influencing the conclusions we’re drawing—we want people to bring all their ideas to the table and let the best logic, idea, and conclusion win. There is a degree of humility that runs through this place that I love, where everyone can always learn something new. I’m working with people who are titans in their fields, but at the same time, when I’m meeting with them, they're eager to ask questions and learn from those around them. Their confidence to continue to listen and consider as they weigh massive decisions is impressive to me. It’s a real privilege to participate in these conversations, sharing perspectives that hopefully lead to the best decisions on behalf of our players. If you had to switch job positions for one day, what would you do? I keep falling back on the idea of being a producer. Okay, I’d probably be a really bad producer, so if anyone from our development teams reads this, don't hire me! But I think the idea of bringing what I can offer, such as order, analytics, or just helping get rid of roadblocks so that creativity here can flourish, sounds fun to me. Beyond Blizzard? I grew up on the east coast, so I have a soft spot for New York City. I’ve always joked that my other calling would be a tour guide. You know, dress up in those cheesy outfits, perch on top of a double-decker bus with a microphone in hand. Yeah, I’d do that! I love meeting people from all over the world. 'Lead Responsibly'. It has implications at all levels. Whether you're a new employee or a twenty-year individual contributor, the words you say and the decisions you make are a form of leadership. You influence others and change how people feel about things or how they feel about their work. 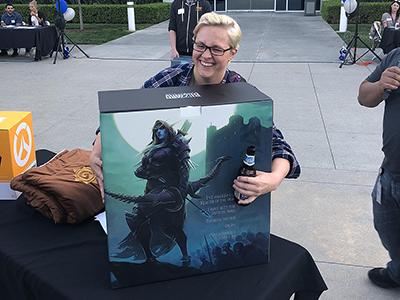 As a whole, Blizzard’s decisions about game development and our business can have an influence on the gaming industry so leading responsibly is an obligation of every Blizzard employee, and one I take very seriously. It just isn’t. Soup is, I believe, the act of boiling meat and vegetables. Okay, it doesn’t have to be meat but the act of boiling things in a broth. And it can be served cold, but there’s always the act of boiling ingredients. And cereal isn’t boiled. Soup isn’t just defined as a liquid meal! What do you remember from the application process? Oh God! I was in the computer lab talking to fellow students about a piece I was working on. An email popped up with ‘StarCraft II’ in the subject, and I was like, “StarCraft? Why are they emailing me? I never signed up for StarCraft stuff….” Then I started to read: ‘This is the StarCraft team. We'd like you to do an animation test. Do you have time to talk about what the test requires?’ I wasn't really processing it because all at once it clicked, and I lost it—in the middle of a computer lab with 200 students. I still remember yelling, “I have to leave! Right! Now!” It was a blindingly crystal-clear moment because of how much it meant to me. What surprised you about your internship experience? Two things surprised me the most. First is how much trust they put in you. Blizzard's onboarding process made sure we had a good grasp on the tools, after which I got to immediately animate some things. I got to animate a bunch of silly dances that ended up becoming a YouTube trend! People had dance competitions and they were showing off my animations! The second surprise was understanding how animation impacts how the game feels and plays. Some of the work I animated as an intern is still in Heroes of the Storm today! They weren’t like, “Cool, intern, thanks, it’s going in the trash now.” No, it’s in the game. I was doing the same work as the other animators and I felt respected as an artist. It never gets old. I got a very well-rounded view of game development. I got to go through the whole campaign and test everything. I learned how little animations can have a lot of impact, like flail animations! I got to animate ALL the flails, which, in StarCraft, it’s like when they wave their arms around because they’ve been picked up by a Phoenix and they’re in the bubble . . . and they just sit there and they’re just like ‘bleh.’ It’s such a small thing, but it makes such a huge difference. What advice would you offer to students hesitant to apply? For anyone that’s hesitant to apply—don’t be. The worst thing that can happen is you get a no, and even then you're better off for having gone through the experience. You’ve already gone through the requirements for the job and applied online. You’ve already practiced a thing. And anytime you’re practicing a thing, you’re getting better at a thing. Best advice I have is don't underestimate the value of a cover letter. As a student, I always heard, ‘Oh, you have to tailor your application per place you apply to.’ And I remember thinking, “I’m applying to 50 jobs. Do you think I’m going to write a different cover letter for 50 jobs! ?” Take the time and do it. It's so important because you can tell when something has been copy/pasted for something else. Your cover letter is YOU. It's your chance to show who you are and what your personality is. It shouldn’t just be an extended version of your resume. Think about things you can’t readily show in a resume. For example, it's easy enough to say you can work independently or collaborate well, but can you provide an example of a situation demonstrating that? We can see your work from your resume and skill from your portfolio. But who are you? And what are you bringing that’s unique? Tell us. If you can find your voice in your cover letter, it’s a powerful advantage. ‘Every Voice Matters’ and ‘Learn and Grow’ are two that come up most in my work and hit home every day. Internally, we have mailing lists so that everyone can reach out directly to our team. If you notice a bug or have feedback on how a particular hero plays or whatever it may be, your voice matters and we want to hear it. It has an impact. Everybody can make a difference. I remember early on in my career, I used to start all of my emails with, “I know I’m just an intern” and eventually people were like, “Stop saying that. You’re here, you’re a part of this team, and you don’t have to start off with a caveat. You can just speak your mind and whatever it is you are feeling. Whatever it is you’re thinking, that’s a value to us.” And I think that’s powerful. ‘Learn and Grow’ means never stop. Never stop pushing yourself to learn. It’ll only get better. Even if you mess something up, even if something didn’t go right—you learned something from that experience, and it'll make you better in the long run. Bad B*tch with a Bad Knee starring Dwayne "the Rock" Johnson. Listen. Dwayne. Makes. Blockbusters. You got to have Dwayne! Plus, I think it'll show a different side of him. Alternative would be “It’s Pronounced Lana”...still starring Dwayne “the Rock” Johnson, though. Cereal is definitely not a soup. You put the cereal in the bowl first and then add milk. That’s actually the definition of soup: the liquid and the substance come together in a single pot. But you don’t do that with cereal, you have two separate products that then are mixed together independently. So if anybody out there is confused about this question, tell them that this is the right answer ha ha! 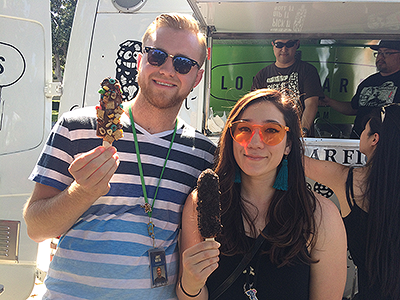 What’s something you enjoyed about being an intern? How likeminded people are. I mean, I’ve racked up around 35,000 games on Hearthstone . . .and that’s kind of normal here. The internship program changed a huge part of my life. It brought me across the country, and when I came back fulltime, I had a new role and a new home. As an intern, I went to all the development events and got to meet so many people, many of whom I’m still close with today. Do you have any advice for any current interns? Don't be afraid to ask for help. Don’t take five hours trying to figure out something. Just ask. Do your job to the best of your ability. Listen first, ask for feedback, and be open to improving. Make mistakes, especially right now when the stakes are low. Learn from them and improve your craft. Do you have a favorite core value? 'Commit to Quality'. I love how we have this shared vision to make the best content possible for our players, and sometimes that means pushing back deadlines. We don't want our players to be merely content; we want them to completely fall in love with whatever we release and love it as much as we do. 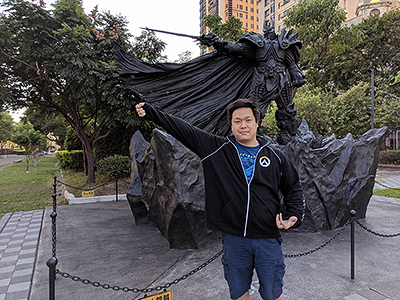 From our cinematics to our games to our comics and toys, and every extension of our franchises . . .people here go above and beyond and are driven to deliver on the promise and standard of quality that Blizzard holds itself to. Miles Teller because he’s dreamy and would make me look much, much cooler than I am. Movie would be called Revenge of the Nerds V: Nerds at Work. No. While I was thinking about this, every part of me was just saying "No." I can't give you an explanation off the top of my head, but just know that the answer is no. No. Wait, what's this about core value...tacos? Here in Austin, we have all the Blizzard core values displayed . . .but with the word taco in them. Taco Responsibly. Learn & Taco. Taco Nice, Taco Fair. Blizzard’s really cool because they encourage us to be ourselves. If you think of any abstract game, there’s bound to be someone in the office who’s really good at it. Speedrunning, foosball, board games, D&D, you can bet someone here is geeking out about it. Goes for any interest really, not just gaming. People have a passion for their interests here, and that's a key element of Blizzard culture to me. You can be yourself. You’re encouraged to ‘Embrace Your Inner Geek’. . . and inner taco. How did you know Blizzard was the fit for you? Well, I just mentioned the tacos, right? Seriously, I applied to other companies but ended up going with my dad’s advice. He told me, “This is your first job out of college. If you enjoy waking up and going to work everyday, take the job.” All of that was true. I loved coming back. I loved the people I worked with. When I woke up on Monday mornings, I wasn’t like “Ugh, I don’t wanna go in.” I was excited to see what challenges were going to hit me that day. Still am. What’s one thing that surprised you as an intern? How nice everyone is. I know that sounds cliché, but in school I heard horror stories about workplace friction in the gaming industry. 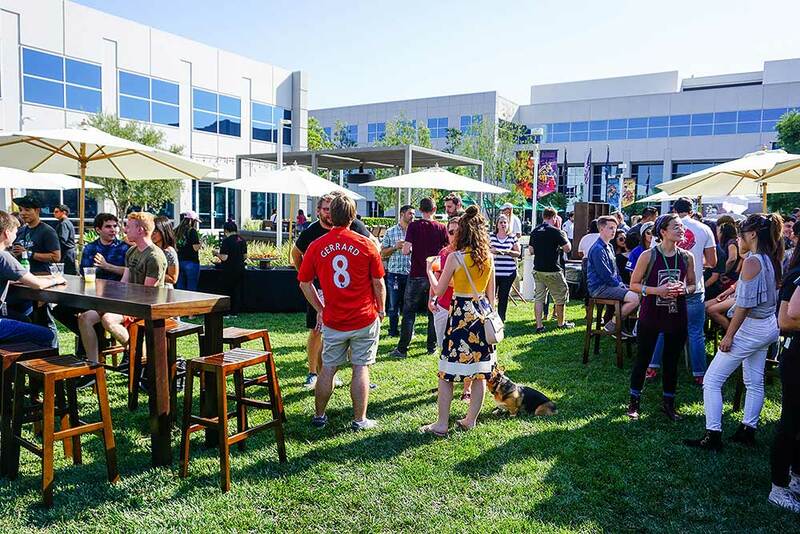 Of course, there's some degree of friction in any workplace, that's normal, but at Blizzard, I never felt like I worked with anyone that wasn’t on my side. All of us, we’re all chasing the same goal: we want our work to be the best it can be. No, that’s disgusting. No. soup’s . . . no. Cereal’s not a soup. Soup has to be savory. Well, okay. There are sweet soups, so maybe that’s not a good definition. Would cereal be a breakfast soup? Ugh, that just feels so wrong. My gut says no. I can’t think of why, but no. How was your Camp Blizzard experience? I feel like Camp Blizzard is a very fitting name, because my internship felt like a summer camp. Don’t get me wrong—it’s a serious internship, but I did also get super campy vibes from it too! I liked how diverse my group of interns was; it was cool seeing all the different backgrounds, schools, and parts of the country people came from. I also really liked how there were a bunch of intern-specific events curated by the University Relations team. For one, I remember there was a movie night out in the main courtyard with a huge inflatable screen. There were also a lot of scheduled lunches with senior leaders who normally would be hard to get time with, but they set aside time for interns and we had incredible conversations. I liked all the different panels, too. They were very informative and offered so many different perspectives from outside the immediate team we’ve interned with. 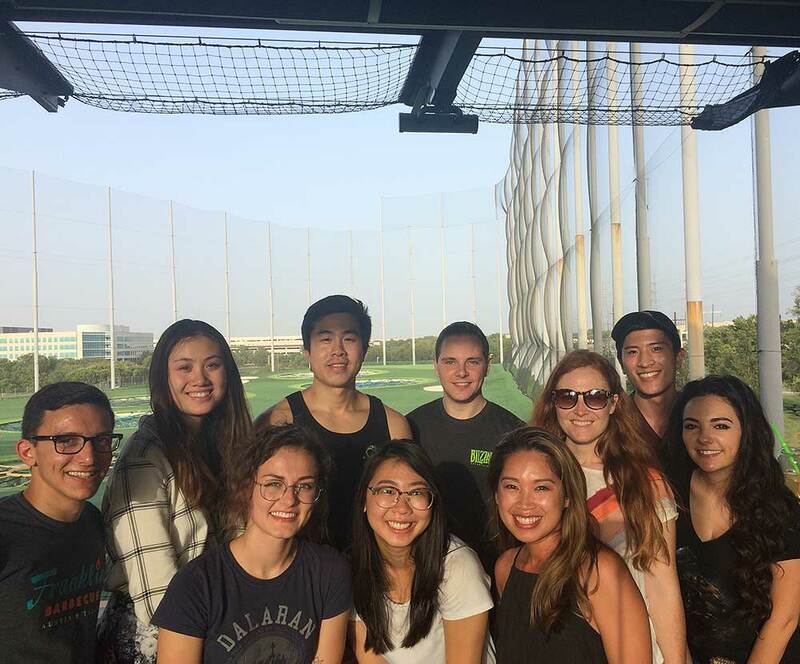 On top of that, there were a lot of intern-led outings. We'd always hang out outside of work and meet up on the weekends to hang out together. Blizzard does a really good job with bringing interns together, providing learning experiences, and encouraging us to take advantage of our time here! Why’d you come back after your internship? The work culture-- it's a great environment to be in! 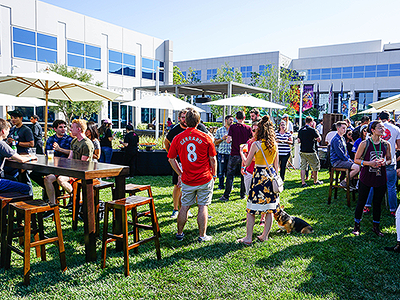 Blizzard’s work culture is unique, and it makes going into work energizing and fun. Everyone is busy, but I feel like there's great work and play balance here. Another factor was Blizzard’s core values-- we talk a lot about them because we take them seriously! Personally, I want to work at a place where my values align with the company’s. It makes doing my work easier and more authentic. If I’m promoting something that conflicts with my own core values, then it’s going to very hard for me to promote whatever that thing is. I truly believe in Blizzard’s vision and that’s why I came back. What are your favorite career tips to give to students? Be passionate – but there’s a difference between saying you’re passionate and actually showing it. 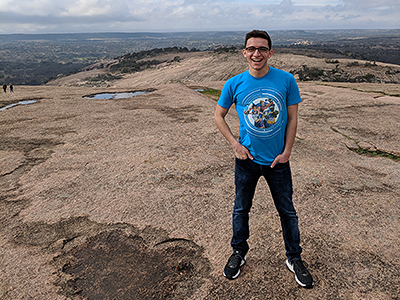 Here’s a hypothetical situation: if you’re applying to an esports internship and you write in your cover letter that you’re passionate about esports, you’ve got to have some projects or work to back that up in order to make yourself a strong candidate. Maybe you started your own student-run esports club on campus. 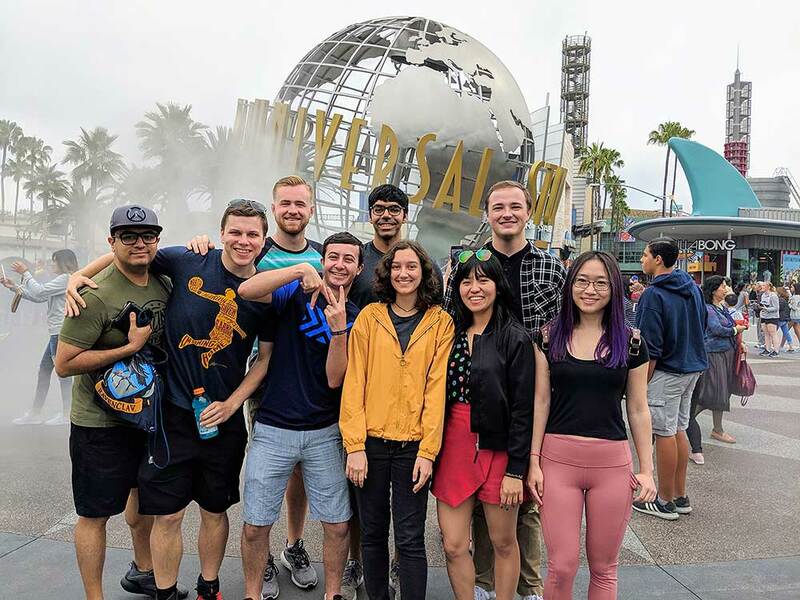 Maybe you’ve partnered with Overwatch League teams in your college’s surrounding area and created viewing parties, or you’ve started a petition to build an esports practice area on campus. There are so many different ways to be resourceful and get involved! I remember when I was first introduced to our eight core values I was caught by surprise by ''Embrace Your Inner Geek.” It’s so uniquely Blizzard! Whatever you geek out on, own it. Be an expert on it, be a nerd about it, be the biggest fan about it. I feel like the best in any field or industry is the best because they geek out and genuinely love what they’re doing. That's where the passion that I was talking about earlier comes from. We’ve come full circle! We could always pull out the actual definition of what a soup is. There’s gazpacho, and that’s cold . . . but cereal could be cold or warm. Hmm...you know what? If that’s our question, I’m going to make the argument that cereal is a salad and milk is the dressing. Can I say that? I’m going to say that. Blizzard always had a special place in my heart because I started playing World of Warcraft in 2006. I was only twelve. I didn’t know any better, and I thought their customer service game masters were just random people on the internet. I sent a ticket asking if I could be a game master too; I had no idea that it was a full-time job and that they actually worked at Blizzard. They were so nice about it. I remember reading the reply they sent back, telling me how old I needed to be, and that it was really cool that I wanted to work with them. 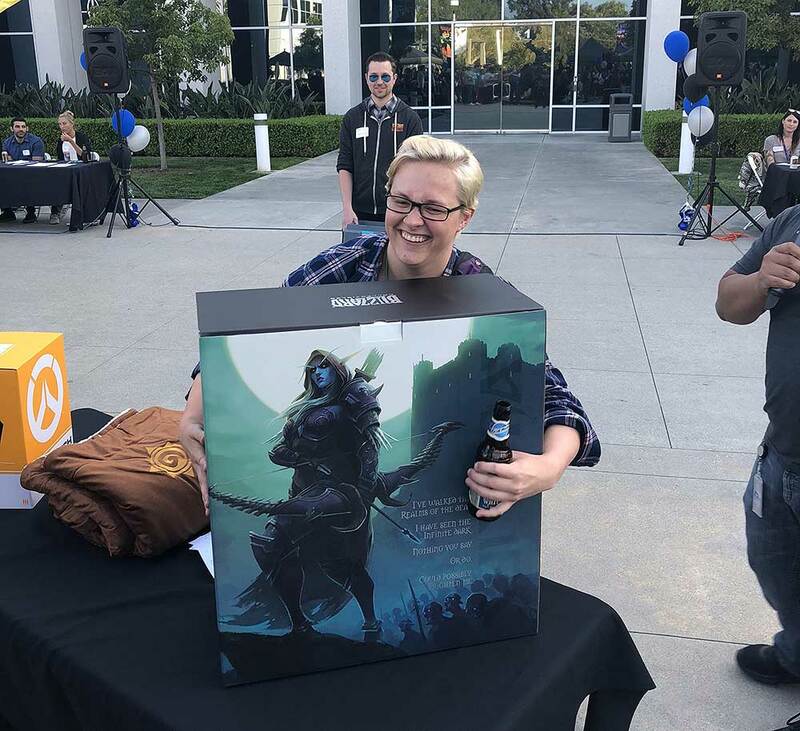 From that moment I wanted to work at Blizzard. How did your internship experience match up to your expectations of what the ‘working world’ would be like? One of the things I commonly heard at my previous job was, “I just work to pay the bills and then I go home.” I had formed an idea that going to work was one of those things that you had to do to get by as an adult. But when I started at Blizzard, I didn’t want to go home. We would play games after work. We would hang out as a team and laugh all day and have a good time doing our jobs. It was hard work, don't get me wrong, but it didn't feel that way overall. It didn’t feel like a job. There’s always something cool going on around here; always great people to talk to and learn from. Everyone wants to be here. 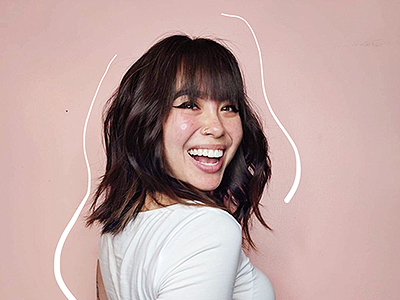 My mentality quickly changed from “Oh, this is a job” to “Oh, this is what I love to do,” and that was a huge moment for me. 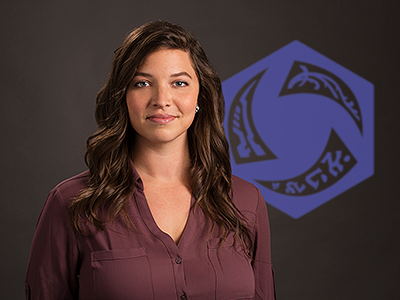 It’s an entirely different mindset about what a job can be—Blizzard is not your typical 9 to 5. I swear they're not making me say this, but I’d want to do what the University Relations team does. Go to schools, talk to folks and help students find out about what they want to do. 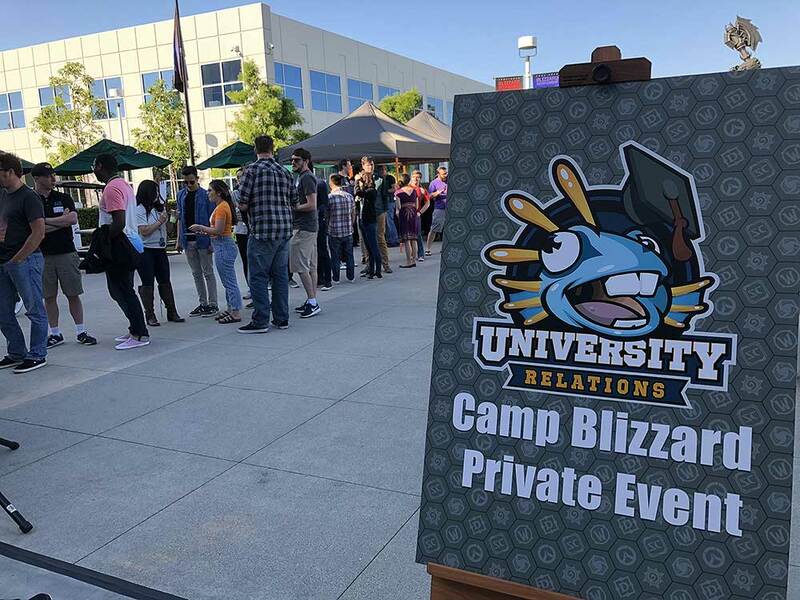 I remember the first recruiter I met from Blizzard was on UCI’s campus for a career fair. She took the time to really get to know me and put me on a path that I don’t think I would’ve found on my own. I’d want to pay that forward and do that for other students. "No, I Don't Know Your Password." Chris Pratt, just because I think he's hilarious, and overall, a really great guy. No, I don't think so. I think what defines soup is the broth. Not necessarily what's in it. Think about phở. Yes, you have the ingredients but all the work goes into making the broth. I think that broth really defines that soup and the same goes for other soups in general. Milk is not a broth; it's one thing that you pour from a carton on top of some corn flakes. What would you say to students on the fence about applying? Don’t psych yourself out and let imposter syndrome get the best of you. Put your name in the hat and see what happens! The name of the game to getting into the industry is perseverance. It’s not about getting everything perfect on the first try. Being persistent, as well as being open to feedback and acting on it to improve is extremely important. Of course, it's all easier said than done, but maintaining a positive attitude is something you really need to take to heart. It’s very easy to get discouraged and think, “I’m terrible because I got rejected. I should just change my career.” But it's unhealthy to think about your self-worth like that. You define your success and can channel your failures to push you to the next level. If you keep working hard and continue improving your craft, it'll be just a matter of time before you land an interview. What’s something you learned from your time as an intern that still impacts you today? Being able to make mistakes and learn from them is huge. In the beginning, I was afraid of being the stereotypical intern that messes everything up. About two-thirds into my summer, I realized that this fear was misplaced, and I was holding myself back. Blizzard didn’t get to where it is today by playing it safe all the time - you need to take risks and be innovative. If you make mistakes, you learn from them which helps you make better decisions in the future. When I finally took those risks, I made some mistakes; but I used them to improve myself, and eventually the effort paid off! Threat Level Midnight. Tan France from Queer Eye because he’s everything I aspire to be someday. Cereal is not a soup. Soup . . . I haven’t had any soups that were cold. And cereal is cold. I don’t know many soups that are sweet. You can say tomato soup is a bit sweet, but it’s more sour and savory. The sweetness and temperature determine what the soup is. I suppose you can have cold soup, but that’s not ideal, is it? It’s hard to believe it’s already been 10 years. It’s an amazing feeling to see something you’ve worked on expand and evolve into something greater that impacts so many people. It’s also incredibly humbling. On behalf of all of us, thank you. To every student who has applied over the years, know that your enthusiasm and passionate submissions inspire our teams, and keep us pushing to shape a program worthy of your collective time and talent. 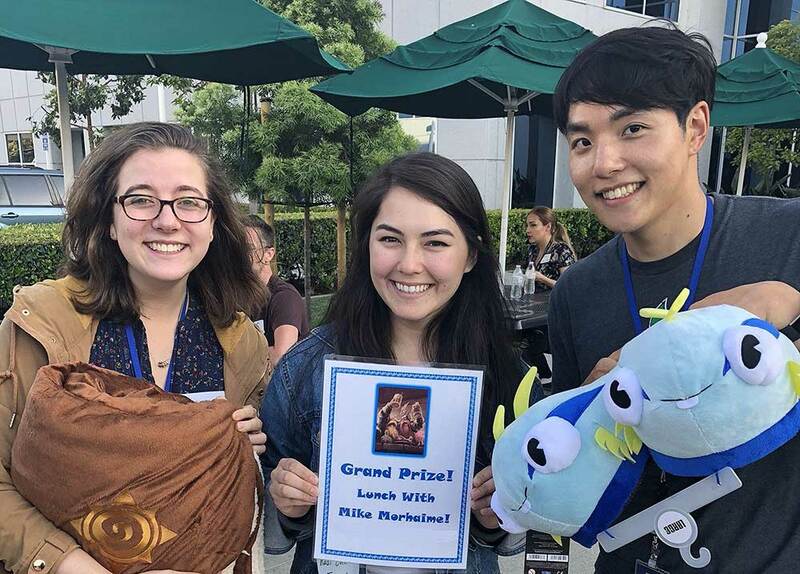 Thanks to the nearly 1000 Blizzard employees who have assumed the role of mentors — Camp Blizzard reflects your dedication and shared belief in the values that make Blizzard such a great place to work. 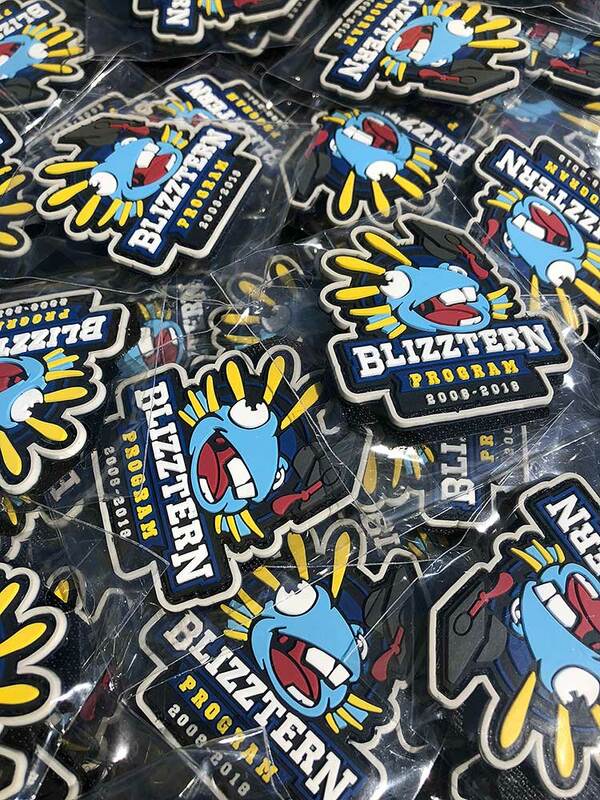 Thanks to the over 500 blizzterns for investing in us for a summer (or two, or three). 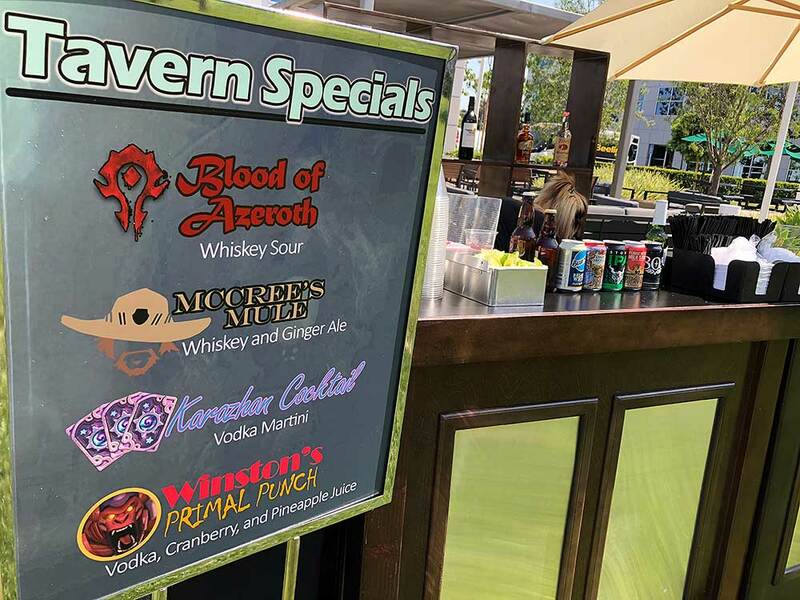 You’ll always be a part of the Blizzard family, cheers! To current students, think hard about applying. Landing an internship is not beyond your grasp—you can do this! 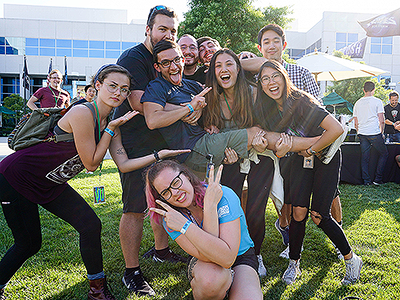 Across the company, leadership and teams support and encourage us to continue asking the essential question we’ve been asking for ten years now: “How can we make the Blizzard intern experience the best it can be?” Summer is always right around the corner, and we’d love for you to be a part of what comes next. For the record, cereal is totally not soup. Silly question. Summer 2019 intern roles are going up this fall, so it's a great time to check out our FAQs and start planning. 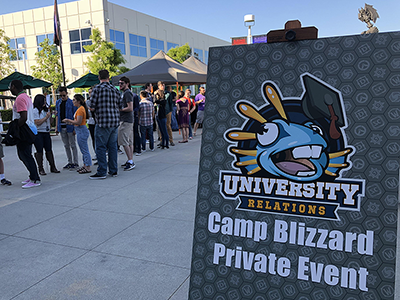 Be sure to sign up for job alerts to get notified (roles and teams vary year to year) and follow Life at Blizzard for the latest Camp Blizzard updates!